Home » E-Learning » Fancy windsurfing? Check Windguru. I’m always amazed at how much information can be put onto a screen; here, Windguru gives you in a glance the weather and especially the wind forecast in relation to windsurfing and kite boarding – strong winds are vital. It is just an aid to forecasting, though I have found it remarkably accurate, that wind strengths and directions do in reality shift pretty much according to the forecast. This greatly assists with planning a sailing trip – too strong or too weak and I keep away. 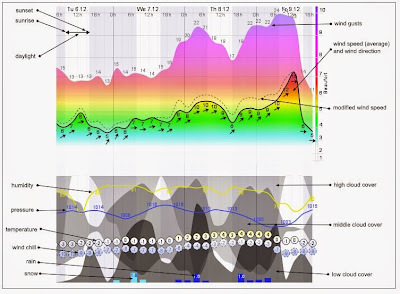 By Jonathan Vernon in E-Learning, Visualization on August 4, 2014 .